Sadly there are many different types of birth injury related claims. Some relate to problems experienced by the mother, others by the baby. Often the issues are serious. We list below some of our completed medical negligence claims in relation to birth injuries to show some of our experience in this complex area. Can We Help You With A Birth Injury Enquiry? 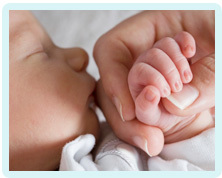 Would You Like Assistance from Specialist Birth Injury Claims Solicitors? If you would like to benefit from a service of excellence with total commitment to client care from a small and friendly team, Glynns are ready and waiting to help you. Please call us on 0800 234 3300 (or from a mobile 01275 334030) or complete our Online Enquiry Form.